You know the songs. "On Broadway," "Under The Boardwalk," "Save The Last Dance For Me," "Up On The Roof, "This Magic Moment," "There Goes My Baby," and many more. They are etched into the memories of music fans worldwide and helped form part of the foundation of contemporary popular music. 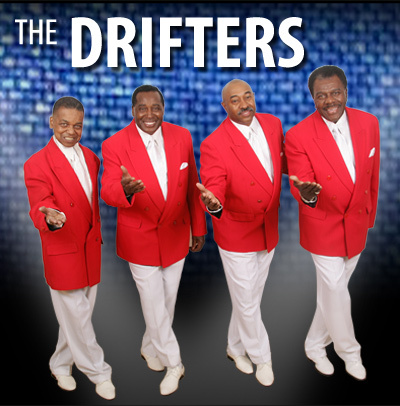 What these songs have in common is that they are all the product of a veritable hit-making machine better known to their millions of fans as The Drifters. Rick Sheppard is an integral part of that hit-making machine. He's been there for more than 45 years. Rick joined the Drifters in 1966 and recorded with the group for Atlantic Records through the end of the '60�s. For years, he toured with The Drifters throughout the world and shared stages with the greatest names in show business. Show business and entertaining that's what Rick Sheppard was all about, what he wanted to do, and what would define his life from then on. It seems that a songwriter familiar with Rick mentioned his name to legendary manager George Treadwell. George, manager of the Drifters, was looking for someone to replace Rudy Lewis. His friend, the songwriter, was sufficiently persuasive so that George Treadwell called Rick Sheppard to see if he would be interested in joining The Drifters. Rick's reaction? "I hung up on him," he confesses. "I was sure it was a friend of mine playing a joke on me, so I just hung up." Fortunately, George Treadwell called back, assured Rick that he was indeed, manager of The Drifters, and . . . oh, by the way, would Rick be interested in joining the group. After a quick apology and three seconds to think about the offer, Rick said yes, and became a part of one of the greatest hit-makers in the history of contemporary popular music. The year was 1966.